Be sure to set your alarm this Saturday morning, because Unbox Industries will be releasing a new toy designed by Thailand-based Too Natthapong! Earlier this summer we learned about Natthapong’s Greenie & Elfie characters and the ultra cute vinyl toys based off the two. 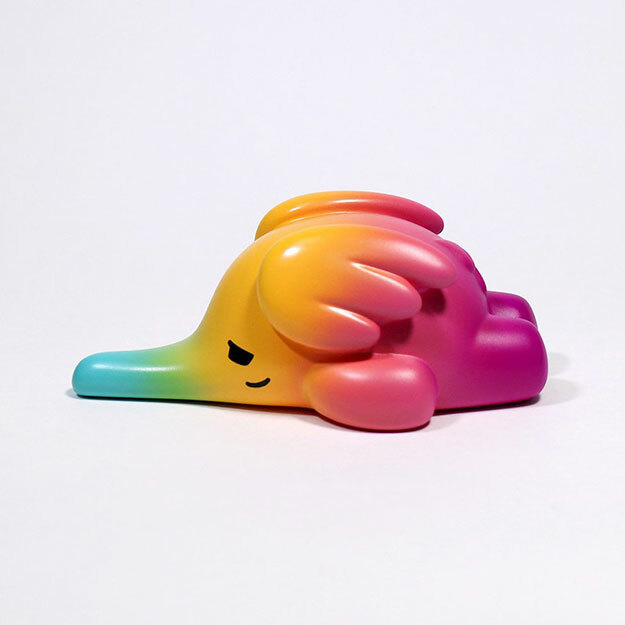 We’ve especially been following Elfie and coming soon is a rainbow “Sleep Head” colorway that’s catching much-needed shut eye. Sleepy Head Elfie will go on sale on Unbox Industries’s website at 9AM EST for $32 USD each, while supplies last!